Sacramento– Yesterday after months of advocacy from teachers and community organizations, the CalSTRS Board voted to divest from prisons. The vote came after activists pressured CalSTRS to complete a review of their investments during the summer. Last week CalSTRS released their report with findings, that set the stage for Wednesday’s crucial vote. CalSTRS follows the steps of the Chicago Teachers, New Jersey, and New York pension funds who all divested this past summer. CalSTRS is the second-largest public pension fund in the country and the largest educator pension in the world. On Wednesday they divested over $12 million from CoreCivic and GEO Group. 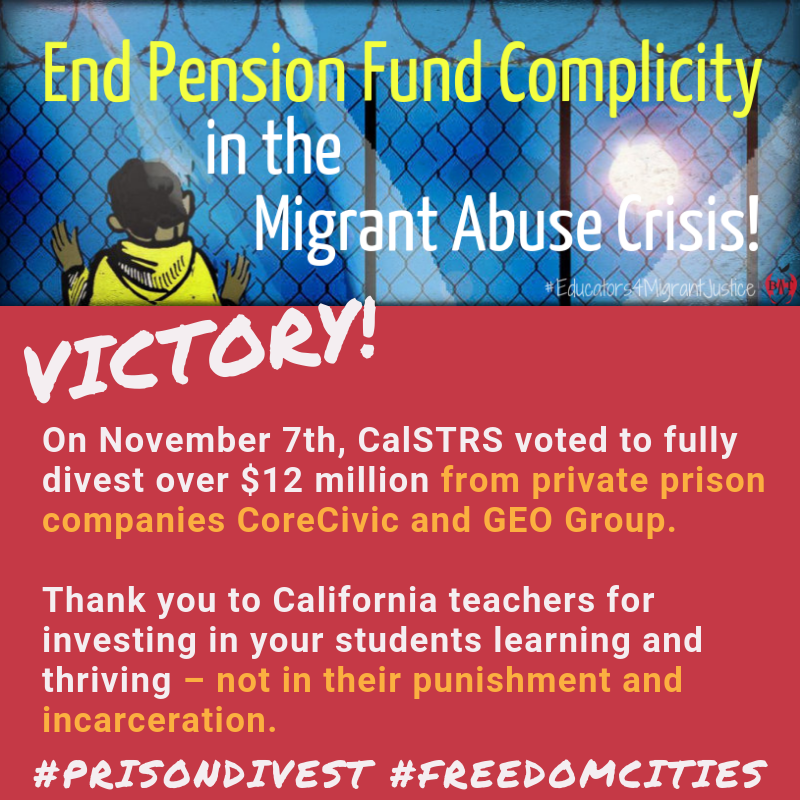 “The Afrikan Black Coalition welcomes and commends the courageous decision of the CalSTRS board to divest from private prisons CoreCivic and GEO. We call on all other pension funds and major investors to also #cancelprivateprisons and dump their shares. Aluta continua, Vitoria acerte!” Yoel Haile, Political Director. Educators for Migrant Justice, Enlace and other community organizations now intend to pressure CalPERS to divest from the prison industry. CalPERS has over $185 million invested in this industry. “As a private health foundation, we determined our mission was not compatible with investing in prisons for profit. We encourage other investors of conscience to join us,” said Daniel Zingale, Senior Vice President of The California Endowment who also divested from GEO Group and CoreCivic and is calling others to follow. 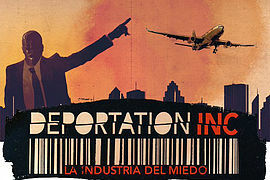 Enlace has been running the Prison Industry Divestment campaign for close to a decade. The effort has been successful in divesting over $4 billion from the industry. In addition to pension funds, Enlace has targeted university endowments and cities. Enlace works to create a world where safety means investment in people and planet, and to end the punishment based criminal and immigration systems. Since 2010, they have led the Prison Industry Divestment Campaign to pressure institutions and politicians to cut ties and divest from the industry.